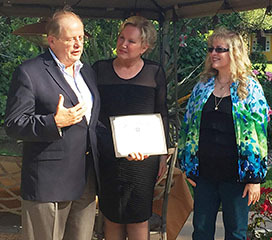 "One of the top dialect and dialogue coaches is Dr. Diane Howard. She has done everything from features to television to commercials. Behind the scenes, she helps actors sound Dutch, Scottish, German, and many variations of other languages and dialects. The good news is that she is a coach who has strong faith and values. Therefore, MOVIEGUIDE® recommends those who want to make powerful movies on a low budget that they get in touch with Diane or others who can take the dialogue and dialect to a higher level. 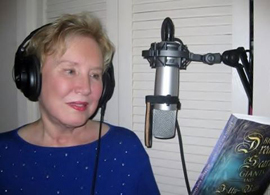 It's an important part of making great stories with morally and spiritually uplifting content and a positive worldview that supports biblical truth…"
"Dr. Diane Howard is one of the few professionals in the industry that is a master at dialect/dialogue. I have worked with her before and she is knowledgeable, easy to work with and professional. I recommend her to any actors who want to elevate their acting abilities to higher levels." "Diane Howard, dialect and acting coach, has proven time and time again, to be the 'go to coach' in the Texas, L.A. and N.M. area. Diane with her long resume in the Acting Industry, is always able to bond with every actor, gaining their trust and quickly teaching a vast array of techniques to enable learning of the perfect dialect, paired with proper projection, posture and enunciation. I always recommend Diane for any director needing a true expert! "In 20 minutes of coaching from Dr. Howard...Natalie Racoosin, was able to deliver an authentic German accent for her callback, winning her the role of Young Barbara Leininger in the feature Alone Yet Not Alone. Dr. Howard is an incredible talent." Dr. Diane Howard's client list is kept anonymous, unless clients choose otherwise. If clients choose, they may use Dr. Diane Howard's name on their resumes as their dialogue, dialect, and/or voice-over coach. Dr. Diane Howard is a professional acting/dialogue/dialect/voice-over coach and performer, especially for feature redemptive movies. Having lived all over the world studying and practicing languages and dialects, she has developed a system for assisting actors to perform believable, consistent, and engaging dialect impressions without sacrificing intelligibility, clarity, and understandability. 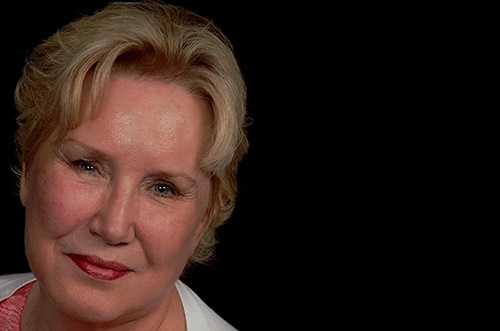 She has studied, directed, and coached dialogue performance for film, television, radio and more for over 40 years, on site and via the telephone. Dr. Howard has earned her Ph. D. in Performance Studies and Communication at the University of Texas, Austin. She has taught university vocal diction and voice-over courses that have included dialogue and dialect work for radio, television, and film for 25 years. McGraw-Hill has published Professor Howard's book with Lainie Frasier, Speak Skillfully and Successfully: A Guide to Developing Diction and Voice-Over Excellence. It is available online and on-site through most bookstores. Amazon has published Dr. Howard’s workbook, Speak Clearly and Creatively On Film, Television, Radio, E-Media, & Platform. Producers and directors send Dr. Howard scripts for which they would like to hire her as a coach or performer. Once she has read and approved the proposed script and work, contracts for on-site, on-location work and/or private coaching are negotiated. Dr. Howard provides private coaching, as her schedule allows. Fees depend on necessary remediation and degree/time required for needed training. As well as coaching the performative aspects of dialogue, she has read lines in appropriate dialects in audio files sent in e-mails for film actors and has coached them over the telephone. Dr. Diane Howard has further met with performers and communicators on-site for foreign accent reduction and Standard American English speaking. Actors who have needed accent reduction have sent her MP3 files by e-mail of their voices as they are performing lines from a script. From there she has evaluated their voices and determined a plan of vocal assistance. There is no cost to the client until a mutual plan of action is decided. Dr. Howard has read lines in appropriate dialects in audio files sent in e-mails for actors in feature films and has coached them over the telephone. She has also met with actors face-to-face for dialect coaching. In private coaching, once clients send Dr. Howard scripts with which they are working and any significant insights about the character (age, relationship with others, health, physical characteristics, emotional state, psychological issues...), she comes up with a user-friendly, authentic-sounding impression often with notes, video, and audios files that are easy to use. Sometimes actors will use her notes and audio files to perform dialects in videos for Dr. Howard to evaluate and critique. Diane Howard can usually accomplish a lot just over the telephone with a client in as little as a half an hour. In general the tongue needs to be relaxed in the front of the mouth, lying behind the bottom teeth, especially for speaking vowels until it is used to articulate consonants. T's and d's are spoken by using the tip of the tongue behind the top teeth on the dental bridge. L's are spoken with the tip of the tongue under the bottom of the top teeth. R's are spoken with the tongue lifted in the middle of the mouth (not back of mouth). Relaxing and speaking more towards the front of his mouth with correct articulation of consonants by correct use of his tongue and teeth is key. Raise the stakes in your imagination (think about how what you are delivering might be of vital importance to you/your audience). Place, focus, and sustain your voice in various parts of your head and body for character voices. Listen to the musical movement, lilting, and emotional expression of dialects and voices for which you want to deliver impressions. Read many practical tips and step-by-step guidelines for developing an effective voice career in Dr. Howard's and Lainie Frasier's Book- Speak Skillfully and Successfully: A Guide to Developing Diction and Voice-Over Excellence. Dialects are produced by the focus and placement of sounds; specific articulation of consonants and vowels that are produced by the tongue, teeth, and shape of the mouth; musicality of the dialect and more. Most importantly, once a dialect impression is established, it needs to stay consistent for believability. Is the focus of the dialect inside or outside of the mouth? Is the dialect straight sounding or musical/lilting sounding? How are the sounds of consonants adjusted? Does the pitch go up or down at the end of phrases or lines? How are diphthongs (sounds made up of more than one sound) spoken? Is the dialect spoken fast or slowly? Below are some samples of idiosyncrasies or unique marks of dialects for dialect impressions. An accent refers to a single speaker. A dialect refers to a cultural group of speakers. A non-native English speaker develops a foreign accent or foreign pronunciation of English when he/she carries the speech sounds and pronunciation rules from the native language into English speech. In preparing to perform a foreign accent, the actor must study the original dialect sounds of the region that influence the foreign accent. We then use those native speech sounds and patterns to perform English with a foreign accent. The same is true when a non- regional speaker carries the speech sounds and pronunciation rules from a native region into a new one. In general the focus of the dialect is high, across the roof of the mouth with the back of the tongue lifted up inside the mouth.. The dialect is generally flat without a lot movement, lyricism, or musicality. southern Irish lilts downward and Donegal, like the Scottish, lilts upward. In the Donegal dialect upward lilts are on stressed syllables. centralized pronunciation of the diphthong in words like mouth or mound - ah-oo sound. long a in great, they. h's sound like a's such as in "As anybody seen my keys?" There is a letter called 'Ches' (*). It is made deep from the throat from the top of the throat: "chhhhhh" or the sound when one is choking. They have a letter Tzadik (*). The name 'Tzvi? is pronounced like 'Tsunami' with the teeth together and the tip of the tongue covering from behind. t's pronounced as in the words 'letter.' 'later,' or 'escalator'. th's pronounced like d's such as 'they' becomes 'dey' or 'this' becomes "dis? Hebrew in its modern form is spoken by many of the seven million people in Israel. Yiddish ("yidish" or "idish", literally "Jewish") is a High German language of Ashkenazi Jewish origin, spoken throughout the world. It developed as a fusion of German dialects with Hebrew, Aramaic, Slavic languages. Aramaic (" Ar'm'y, Syriac, Arabic") is a language or group of languages belonging to the Semitic subfamily of the Afroasiatic language family. More specifically, it is part of the Northwest Semitic group, which also includes the Canaanite languages such as Hebrew and Phoenician. formal sounding, spoken toward the front of the face like British English. In Brazil, as in most countries, there are varying dialects. Some regions sound more like Spanish and others more like French. Brazilian Portuguese has elements that sound like Spanish, French, and Italian. It does not have a great deal of variation. It is not melodious. It is more characterized by stressed, unstressed patterns, which can sound like a slightly rolling sing-song pattern. It is can sound somewhat like American English in its downward pitch in the unstressed syllables in this sing-song, stressed/unstressed pattern. Word endings tend to be unstressed and less articulate. Brazil, the name of the country, often sounds like "Brasiu." Tonic (initial) vowels are stressed, as are second to last syllables. In Brazilian Portuguese all five vowels [a e i o u] are usually pronounced clearly. In Brazilian Portuguese there are no mute consonants. Ending consonants are not strongly articulated: p can sound like b, t like a d, and k like a g.
R's are produced in the back of the mouth much like a French r or as in the English word “pressure." The tongue moves from the palate towards the bottom of the mouth and rounds a little in the tip. The alphabet is just like the English Alphabet. All the vowels are pronounced. Most consonants are pronounced exactly like in English (with the exception of the X) and are regular in pronunciation. The tongue is used high in the mouth and actively with the palate, top of the mouth. In Spanish dialects, vowels are often more closed and fluid than they are in Standard American English (SAE). Vowels in SAE are more open and straight. SAE is slower, straighter, and more open inside the mouth than Spanish. For Broadcast Standard, focus more toward the front of the mouth. In Spanish "g" is dropped at end of "ing," whereas in SAE the "in" in the "ing" is produced with the "g" pronounced with the middle of the tongue pulled up toward the middle of the roof of the mouth to produce a nasal sound for the "g"
The most significant differences are the focus of the dialect (behind the top teeth for Spanish and inside the mouth with SAE) and the general placement and activity of the tongue (more aggressive and fluid behind the top teeth for Spanish and inside the mouth behind bottom teeth for SAE). In general one trying to speak SAE needs to speak slowly and to relax the tongue, let it rest behind the bottom teeth, and use it more inside the mouth.